You are well into motherhood by now! You've been a mom for a year now technically, but these last three months are when things have gotten real. The rubber has hit the road. Motherhood is not a dream anymore, but a very involved reality. 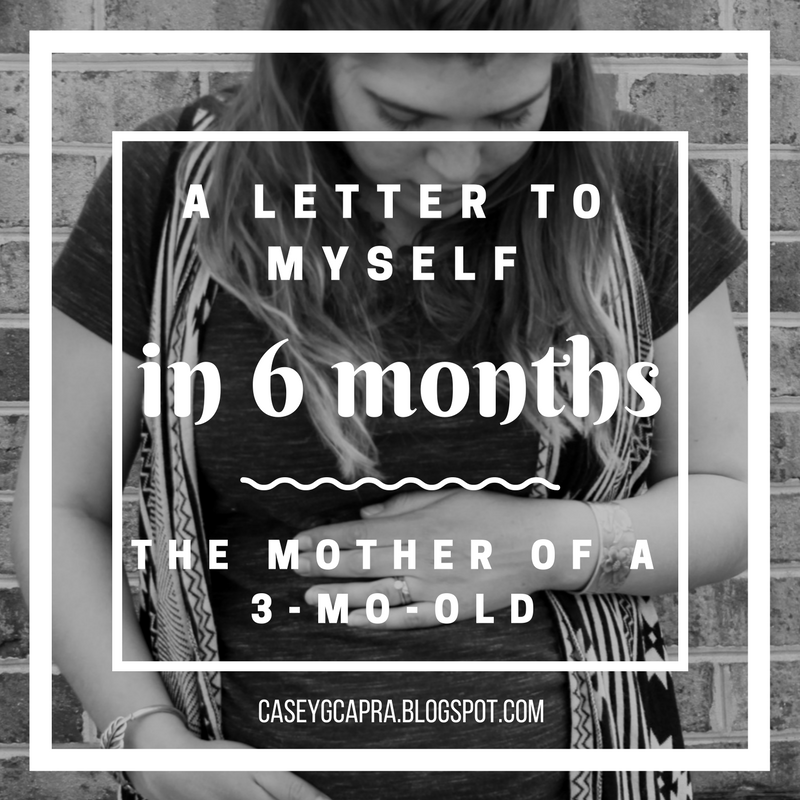 It's six months from now, and you are a first-time mom of a three-month-old. Wow. He's already 3-mo-old! And in that time, I'm fairly certain you have been pooped on, peed on, and covered in spit up, probably multiple times. You have spent nights sleepless, sometimes because this little one needed you, but sometimes because you just couldn't stop watching him breathe while he slept. These three months have been spent both full of wonderment and exhaustion; new things that have involved trial-and-error, much googling, and late-night phone calls to Mom. But you've been killing it. Yeah, you've already made mistakes. Yes, you may be desperately missing those spontaneous date nights that have been replaced by handing off the baby so that you can finally take a shower. And you probably feel like you are poorer - in your bank account and your energy levels - than you've ever been before. But I'm writing to remind you that this little one, this precious boy, he was made for you. A carefully-crafted, specifically-designed gift, covered in your Creator's fingerprints. He has not just been growing in you for nine months and outside of you for three. He has not just been a far-off hope in your heart for years. He has been growing in the heart of the Father since the beginning of time. He was a dream and a vision and a person that was finally introduced to this world with great anticipation by a Good God. Nothing about his existence, his appearance, or his future is random, accidental or careless. Everything about him and who he will grow into has been carefully planned and every day of his life has been written down in great detail. And in those moments you aren't such a great mom - when you fuss at him as a teenager, or have another meltdown because he spit up on your church clothes as you were walking out the door - you can know that God is not surprised or disappointed by your shortcomings, but ready and willing to step in and fill the gaps. In fact, the weaker you are as a mom, the more opportunities your son will have to see the strength of God in your life! I know you're tired. I know you feel like you've been holed up in your house too much. I know there are even moments when you aren't sure if you'll ever have another moment to yourself. But God is so good. And he's with you in every poopy moment, every lonely moment, and every emotional breakdown. He's entrusted you with a son. A young man. He has invited you to partner with Him in his development. Not only do you get to foster his physical growth and help him mature in a healthy way, you also get to build him up spiritually, to lead him in the way he should go, to set an example of what it means to seek God daily, to ask forgiveness quickly, to experience the grace of God freely, and to love people passionately. What a calling. Keep going, stay strong, let the laundry pile just a little bit more, and stare at that face for a few extra seconds. Just don't forget that what you are doing is so important. Right now it may not feel important. Right now it may feel lonely and small and insignificant and unseen. But if your day is important enough for the Creator of the Universe to pay attention to, walk with you in, and direct every detail of, then it must be pretty important. As a momma to an 18 year old boy, embrace he place where you are, enjoy the little things, moments matter! 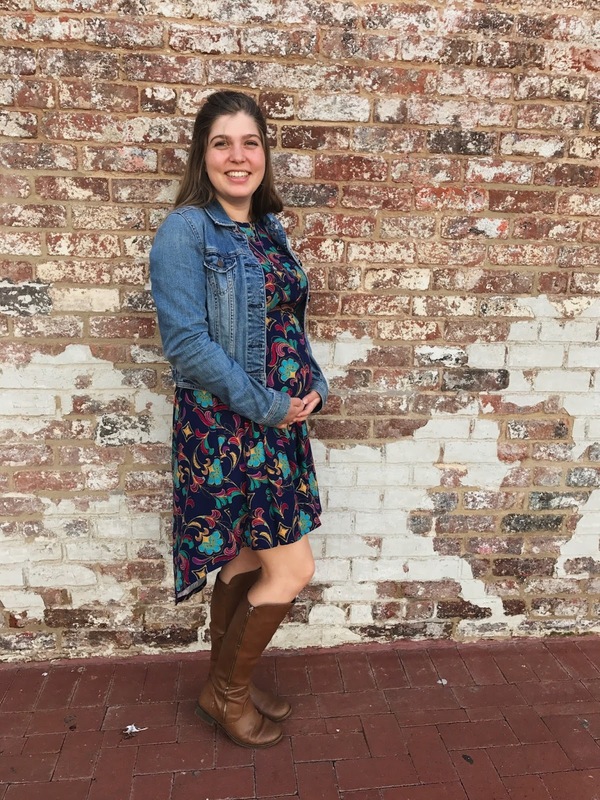 I don't have a baby yet, but I'm expecting! And man what a letter! I'm sure I'll be needing to read this again in a few months when I'm the one looking after that amazing little bundle, feeling at the end of myself. I'll have to save this one for later. Thanks! Enjoy every minute! I don't know where the times goes! 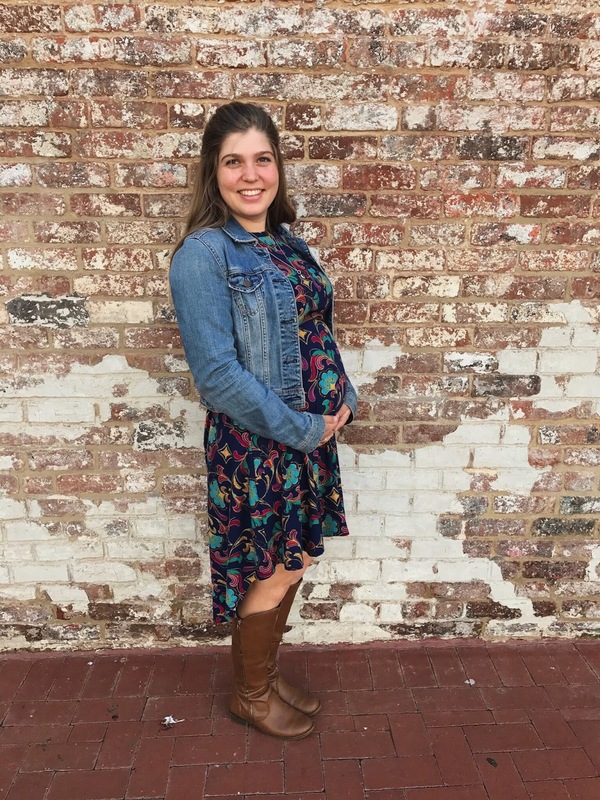 you are wise, expectant mother! thank you for these sweet words. blessings to you on this journey! 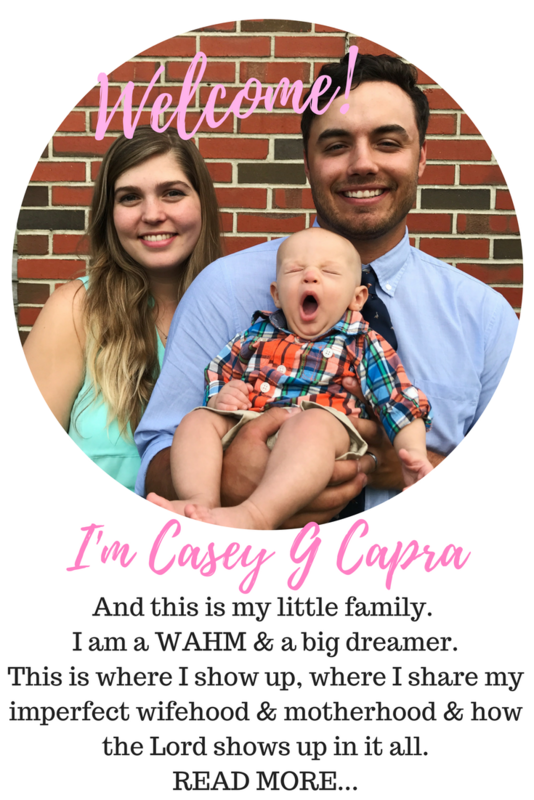 Casey - You nailed it, the laundry will always be there, the house cleaning will always be there, but those precious moments of time with your sweet child will not always be there... they grow so quickly and change even quicker. But those moments you get, oh so to be cherished for eternity. You are doing the most important job right now - you have been entrusted with this little boy, who will grow into a man. Enjoy! I am your neighbor at #TeaAndWord Tuesday. Are you qualified to study the Bible? Thistlefish Knits has an ETSY!